Looking for an easy solution to Valentine’s Baking – or a quick easy way to churn out loads of heart shaped cupcakes all at one!! This is without a doubt the easiest way to make a baking tray full of heart shaped cupcakes! 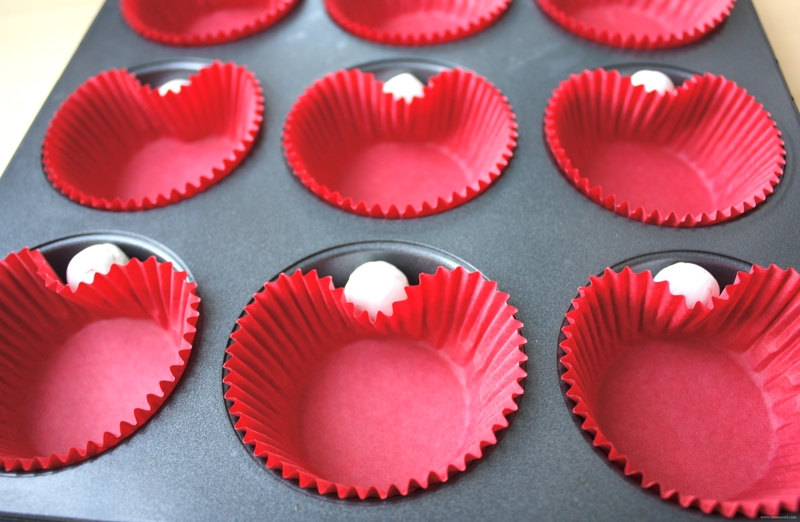 Add red cupcake liners to a cupcake tray. Push down the top of each and secure “pushed down bit” by adding a marble or a small ball of clay. Anything that will stand the tempretures in the oven! Fill cupcakes with mixture and bake as usual! Perfectly even heart shapes cakes!